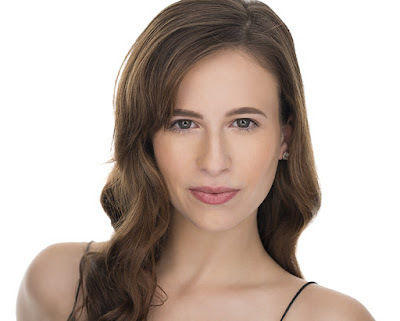 Select Credits: The Buddy Holly Story at TBTS (Maria Elena Santiago), 21 The Musical at Pittsburgh Playhouse (Vera Clemente), Chicago, Footloose, Chess, etc. Who do you play in Buddy: The Buddy Holly Story? : Buddy’s wife, Maria Elena Santiago. Tell us about Buddy: The Buddy Holly Story: It tells the story of Rock n’ Roll legend Buddy Holly and The Crickets. Set in the late 50’s, the musical play features all of Buddy’s hits songs, his early career, rise to fame, and the very last concert before his tragic death. What is it like being a part of Buddy: The Buddy Holly Story? : Truly an amazing experience. I’ve done the production twice already and the talent is unbelievable. I also enjoy playing a bilingual character (since Spanish is my native tongue). What kind of theater speaks to you? What or who inspires you as an artist? : Original works and plays that feature Latino and other minorities. That being said, Lin Manuel Miranda is definitely someone who inspires me not only as an artist, but also as a human being. Any roles you’re dying to play? : Eva Perón in Evita. What’s your favorite showtune? : Sinatra’s "That’s Life." Who would play you in a movie about yourself and what would it be called? : Movie would be titled “The Voyager”. Casting myself is hard since I would have to find someone bilingual. If you could go back in time and see any play or musical you missed, what would it be? : Original Cast of A Chorus Line. What’s your biggest guilty pleasure? : Eating excessive amounts of edamame per week, pronouncing my name the correct way when I introduce myself to people (great conversation topic at auditions). What’s up next? : Currently working on a Pilot for a new TV show.